Summer is approaching! The kids will be running gleefully out of the school gates in the next few weeks -- so it's time to gather your friends and family for a garden party to celebrate the long warm days of leisure. I like to host a backyard summer garden party every year. It's a great way to get the kids (even more) excited about summer vacation and it's just another reason to have people over. My favorite party to throw is a garden party. What could be better than being outside in the sunshine with flowers in bloom all around? 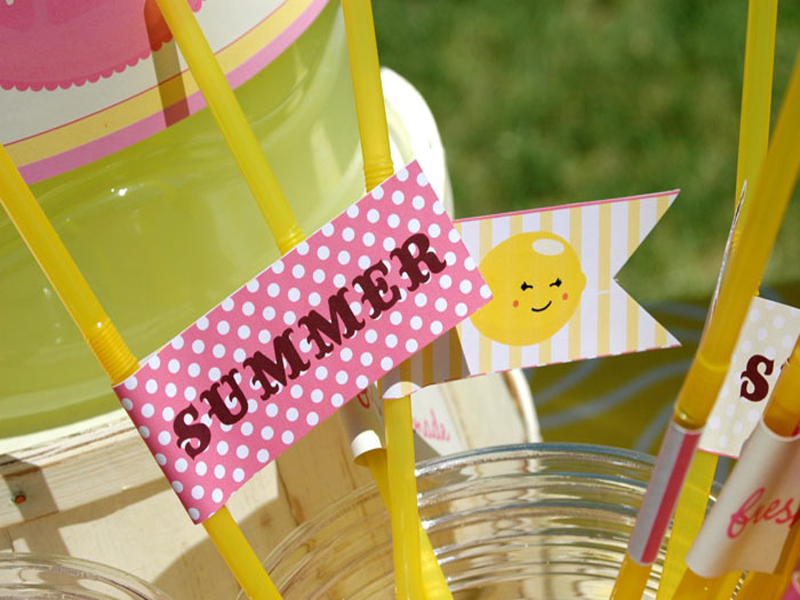 I love coming up with fresh, fun and festive drinks to share at all of my gatherings, and I think a child's garden party should be no different. Following are six eco-friendly garden party drinks that would be perfect to serve up and enjoy at a garden party -- or to indulge in on any warm day! 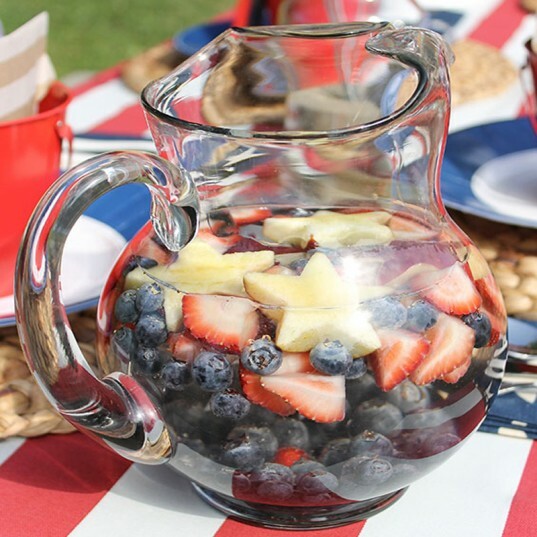 What is better than our favorite summer organic fruit doubling as a beverage and the punch bowl all in one? 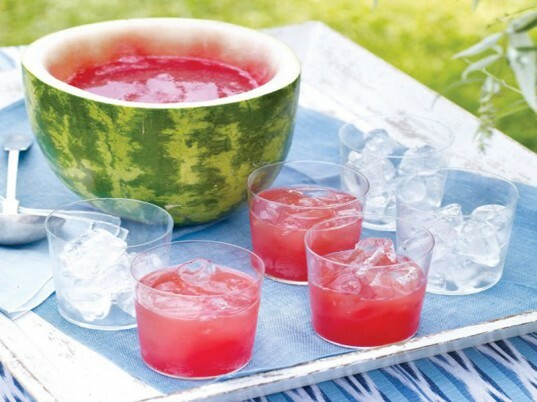 This watermelon drink recipe sounds refreshing and delicious – however, the bowl may be my favorite part. What a great way to reuse something that would otherwise have been immediately trashed. This garden party drink is sure to please all of your guests! We all know that water is probably the best beverage you could serve your children. Getting them to drink it as a special garden party drink may be a little difficult. That was until I found this fantastic recipe for water garnished with shapes cut from organic fruit. What a fantastic idea! I can see kids sipping and munching on fresh fruit all afternoon with this yummy concoction. It’s a great way to use up the abundance of fruit in my summer CSA. Anytime we have a get together that includes adult margaritas, my son always moans that there isn’t a frozen mocktail for him! Let’s face it, all children love a fancy frozen beverage, why not offer up a Rita that is perfect for the littles? This yummy recipe includes organic limes, orange juice and agave – yum! This is a great recipe if your lime tree is producing limes faster than you can consume them – like at our house! I think I will have one of these myself, please. 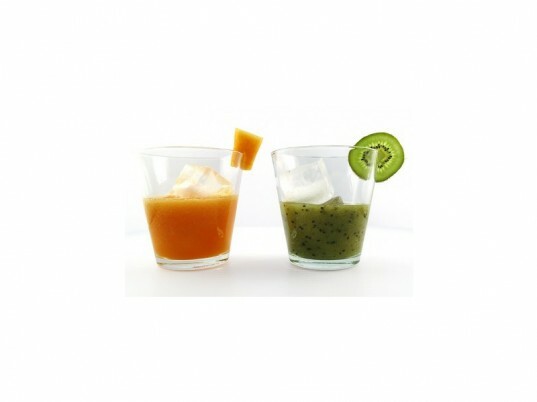 Many children enjoy a little soda on a special occasion – serve up these basil lime sodas and they will shout Hooray! While I don’t recommend giving your children sugary drinks on a regular basis, I would substitute the sugar with agave or honey! Plus, with the mass quantities of basil in my garden this summer, this is the perfect drink to use that up! And the adults at your gathering may want a sip too. What garden party doesn’t have tea? 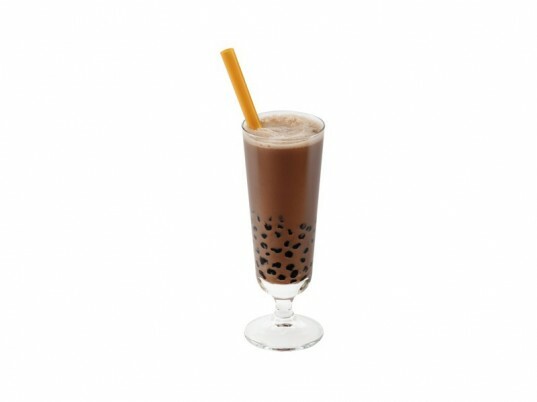 For your summer garden party, why not serve up a yummy bubble tea made with green tea, almond milk and tapioca bubbles! I have heard this is a delicious drink that children will adore. Here is another way to use that bounty of fresh organic fruit this summer: fresh fruit fizzies. This fruity beverage is sure to be a hit with your children – especially if they love cantaloupe! I could see this becoming your go-to party drink in the future. What is better than our favorite summer organic fruit doubling as a beverage and the punch bowl all in one? This watermelon drink recipe sounds refreshing and delicious - however, the bowl may be my favorite part. What a great way to reuse something that would otherwise have been immediately trashed. This garden party drink is sure to please all of your guests! Anytime we have a get together that includes adult margaritas, my son always moans that there isn't a frozen mocktail for him! 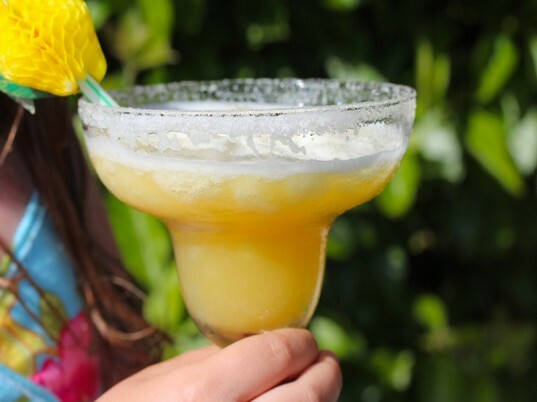 Let's face it, all children love a fancy frozen beverage, why not offer up a Rita that is perfect for the littles? This yummy recipe includes organic limes, orange juice and agave - yum! This is a great recipe if your lime tree is producing limes faster than you can consume them - like at our house! I think I will have one of these myself, please. 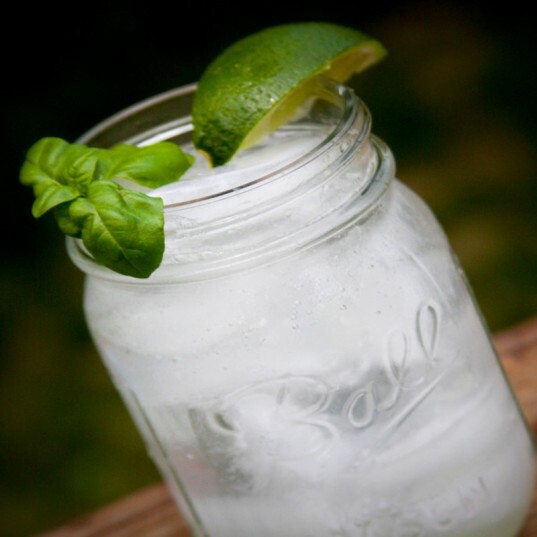 Many children enjoy a little soda on a special occasion - serve up these basil lime sodas and they will shout Hooray! While I don't recommend giving your children sugary drinks on a regular basis, I would substitute the sugar with agave or honey! Plus, with the mass quanities of basil in my garden this summer, this is the perfect drink to use that up! And the adults at your gathering may want a sip too. What garden party would be complete without tea? For your summer garden party, why not serve up a yummy bubble tea made with green tea, almond milk and tapioca bubbles! I have heard this is a delicious drink that children will adore. Here is another way to use that bounty of fresh organic fruit this summer: fresh fruit fizzies. This fruity beverage is sure to be a hit with your children - especially if they love cantaloupe! I could see this becoming your go-to party drink in the future.